In this fourth and final video you’ll learn all about composite meters (using multiple time signatures as a means of phrasing). 4/4 – 7/8 and an especially nasty breakbeat in 7/8 – 7/8 – 7/8 – 15/16. The other videos in this series go into theory, quarter note based, eighth based sixteenth based meters. 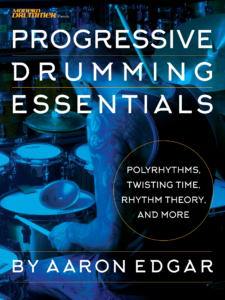 Polyrhythms Part 1 : Theory, Basics and INTENSE Polyrhythmic Blast Beats! This is awesome Aaron… Great﻿ job man! This is awesome﻿ Aaron… Great job man! This is﻿ awesome Aaron… Great job man! This is awesome Aaron… Great job﻿ man! This is awesome Aaron… Great job man! That hi hat thing you do is﻿ sic how it goes up and down! great videos man!! That hi hat thing you do﻿ is sic how it goes up and down! great videos man!! That hi hat﻿ thing you do is sic how it goes up and down! great videos man!! That hi hat thing you do is sic how﻿ it goes up and down! great videos man!! That hi hat thing you do is sic how it goes﻿ up and down! great videos man!! That hi hat thing you﻿ do is sic how it goes up and down! great videos man!! That hi hat thing you do is sic how it﻿ goes up and down! great videos man!! That hi hat thing you do is sic﻿ how it goes up and down! great videos man!! That hi hat thing﻿ you do is sic how it goes up and down! great videos man!! That hi hat thing you do is sic how it goes up and down! great videos man!! aren’t most sixteenth note﻿ meters just compostie ones? 17/16 is 4/4 + 1/16 for example…. aren’t most sixteenth note meters just compostie ones? 17/16 is 4/4 + 1/16 for﻿ example…. aren’t most sixteenth note meters just compostie ones? 17/16 is 4/4 +﻿ 1/16 for example…. aren’t most sixteenth﻿ note meters just compostie ones? 17/16 is 4/4 + 1/16 for example…. aren’t﻿ most sixteenth note meters just compostie ones? 17/16 is 4/4 + 1/16 for example…. aren’t most﻿ sixteenth note meters just compostie ones? 17/16 is 4/4 + 1/16 for example…. aren’t most sixteenth note meters just﻿ compostie ones? 17/16 is 4/4 + 1/16 for example…. aren’t most sixteenth note meters just compostie ones?﻿ 17/16 is 4/4 + 1/16 for example…. aren’t most sixteenth note meters﻿ just compostie ones? 17/16 is 4/4 + 1/16 for example…. [..YouTube..] aren’t most sixteenth note meters just compostie ones? 17/16 is 4/4 + 1/16 for example…. aren’t most sixteenth note meters just compostie ones? 17/16 is 4/4 + 1/16 for example…. @allmetaliswelcome Well, technically you can perceive﻿ them however you want. I mean, based on what you just said, we could perceive 17/16 as (5/16, 1/4, 3/16, 1/8, 3/16). 😛 Or we could just perceive it as a single bar of 17 if we’re going that route anyway. Honestly, whatever is most comfortable for you (as long as it’s numerically correct) really can’t be argued! @allmetaliswelcome Well, technically you can perceive them however you want. I mean, based on what you just said, we could perceive 17/16 as (5/16, 1/4,﻿ 3/16, 1/8, 3/16). 😛 Or we could just perceive it as a single bar of 17 if we’re going that route anyway. @allmetaliswelcome Well, technically you can perceive them however you want. I mean, based on what you just said, we could perceive 17/16 as (5/16, 1/4, 3/16, 1/8,﻿ 3/16). 😛 Or we could just perceive it as a single bar of 17 if we’re going that route anyway. @allmetaliswelcome Well, technically you can perceive them however you want. I mean, based on what you just said, we could perceive 17/16 as (5/16, 1/4, 3/16, 1/8, 3/16). 😛 Or we could just perceive it as a single bar of 17 if we’re going that﻿ route anyway. @allmetaliswelcome Well, technically you can perceive them however you want. I mean, based on what you just said, we could perceive 17/16 as (5/16, 1/4, 3/16, 1/8, 3/16). 😛 Or we could just perceive it as a single bar of 17 if﻿ we’re going that route anyway. @allmetaliswelcome Well, technically you can perceive them however you want. I mean, based on what you just said, we could perceive 17/16 as (5/16, 1/4, 3/16, 1/8, 3/16). 😛 Or we could just perceive it as a single bar of 17 if we’re going that route anyway. Honestly, whatever is most comfortable for you (as long as it’s numerically correct) really﻿ can’t be argued! @allmetaliswelcome Well, technically you can perceive them however you want. I mean, based on what you just said, we could perceive 17/16 as (5/16, 1/4, 3/16,﻿ 1/8, 3/16). 😛 Or we could just perceive it as a single bar of 17 if we’re going that route anyway. @allmetaliswelcome Well, technically you can perceive them however you want. I mean, based on﻿ what you just said, we could perceive 17/16 as (5/16, 1/4, 3/16, 1/8, 3/16). 😛 Or we could just perceive it as a single bar of 17 if we’re going that route anyway. Honestly, whatever is most comfortable for you (as﻿ long as it’s numerically correct) really can’t be argued! @allmetaliswelcome Well, technically you can perceive them however you want. I mean, based on what you just﻿ said, we could perceive 17/16 as (5/16, 1/4, 3/16, 1/8, 3/16). 😛 Or we could just perceive it as a single bar of 17 if we’re going that route anyway. @allmetaliswelcome Well, technically you can perceive them however you want. I mean, based on what you just said, we could perceive 17/16 as (5/16, 1/4, 3/16, 1/8, 3/16). 😛 Or we could just perceive it as a single bar of 17 if we’re going﻿ that route anyway. @allmetaliswelcome Well, technically you can perceive them however you want. I mean, based on what you just said, we could perceive 17/16 as (5/16, 1/4, 3/16, 1/8, 3/16). 😛 Or we could just﻿ perceive it as a single bar of 17 if we’re going that route anyway. @allmetaliswelcome Well, technically you can perceive them however you want. I mean, based on what you just said, we could perceive 17/16 as (5/16, 1/4, 3/16, 1/8, 3/16). :P﻿ Or we could just perceive it as a single bar of 17 if we’re going that route anyway. @allmetaliswelcome Well, technically you﻿ can perceive them however you want. I mean, based on what you just said, we could perceive 17/16 as (5/16, 1/4, 3/16, 1/8, 3/16). 😛 Or we could just perceive it as a single bar of 17 if we’re going that route anyway. Honestly, whatever is most comfortable for you (as long as it’s﻿ numerically correct) really can’t be argued! @allmetaliswelcome Well, technically you can perceive them however you want. I mean, based on what you just said, we could perceive 17/16﻿ as (5/16, 1/4, 3/16, 1/8, 3/16). 😛 Or we could just perceive it as a single bar of 17 if we’re going that route anyway. @allmetaliswelcome Well, technically you can perceive them however you want. I mean, based on what you just said, we could perceive 17/16 as (5/16, 1/4, 3/16, 1/8, 3/16). 😛 Or we could just perceive it as a single bar of 17 if we’re﻿ going that route anyway. Honestly, whatever is most comfortable for you (as long as it’s numerically correct)﻿ really can’t be argued! @allmetaliswelcome Well, technically you can perceive them however you want. I mean, based on what you just said, we could﻿ perceive 17/16 as (5/16, 1/4, 3/16, 1/8, 3/16). 😛 Or we could just perceive it as a single bar of 17 if we’re going that route anyway. @allmetaliswelcome Well, technically you can perceive them however you want. I mean, based on what you just said, we could perceive 17/16 as (5/16, 1/4, 3/16, 1/8, 3/16). 😛 Or we could just perceive it as a single bar of 17﻿ if we’re going that route anyway. Honestly, whatever is most comfortable for you﻿ (as long as it’s numerically correct) really can’t be argued! @allmetaliswelcome﻿ Well, technically you can perceive them however you want. I mean, based on what you just said, we could perceive 17/16 as (5/16, 1/4, 3/16, 1/8, 3/16). 😛 Or we could just perceive it as a single bar of 17 if we’re going that route anyway. @allmetaliswelcome Well, technically you can perceive them however you want. I mean, based on what you just said, we could perceive 17/16 as (5/16, 1/4, 3/16, 1/8, 3/16). 😛 Or we could just perceive it as﻿ a single bar of 17 if we’re going that route anyway. @allmetaliswelcome Well, technically you can perceive them however you want. I mean, based on what you just said, we could perceive 17/16 as (5/16, 1/4, 3/16, 1/8, 3/16). 😛 Or we could just perceive it﻿ as a single bar of 17 if we’re going that route anyway. Honestly, whatever is most comfortable for﻿ you (as long as it’s numerically correct) really can’t be argued! @allmetaliswelcome Well, technically﻿ you can perceive them however you want. I mean, based on what you just said, we could perceive 17/16 as (5/16, 1/4, 3/16, 1/8, 3/16). 😛 Or we could just perceive it as a single bar of 17 if we’re going that route anyway. @allmetaliswelcome Well, technically you can perceive them however﻿ you want. I mean, based on what you just said, we could perceive 17/16 as (5/16, 1/4, 3/16, 1/8, 3/16). 😛 Or we could just perceive it as a single bar of 17 if we’re going that route anyway. @allmetaliswelcome Well, technically you can perceive them however you want. I mean, based on what you just said, we could perceive﻿ 17/16 as (5/16, 1/4, 3/16, 1/8, 3/16). 😛 Or we could just perceive it as a single bar of 17 if we’re going that route anyway. Honestly, whatever is most comfortable for you (as long as it’s numerically correct) really can’t be﻿ argued! @allmetaliswelcome Well, technically you can﻿ perceive them however you want. I mean, based on what you just said, we could perceive 17/16 as (5/16, 1/4, 3/16, 1/8, 3/16). 😛 Or we could just perceive it as a single bar of 17 if we’re going that route anyway. @allmetaliswelcome Well, technically you can perceive them however you want. I mean, based on what you just said, we could perceive 17/16 as (5/16, 1/4, 3/16, 1/8, 3/16). 😛 Or we could just perceive﻿ it as a single bar of 17 if we’re going that route anyway. Honestly, whatever is most comfortable﻿ for you (as long as it’s numerically correct) really can’t be argued! [..YouTube..] @allmetaliswelcome Well, technically you can perceive them however you want. I mean, based on what you just said, we could perceive 17/16 as (5/16, 1/4, 3/16, 1/8, 3/16). 😛 Or we could just perceive it as a single bar of 17 if we’re going that route anyway. [..YouTube..] Well, technically you can perceive them however you want. I mean, based on what you just said, we could perceive 17/16 as (5/16, 1/4, 3/16, 1/8, 3/16). 😛 Or we could just perceive it as a single bar of 17 if we’re going that route anyway. Well, technically you can perceive them however you want. I mean, based on what you just said, we could perceive 17/16 as (5/16, 1/4, 3/16, 1/8, 3/16). 😛 Or we could just perceive it as a single bar of 17 if we’re going that route anyway. @allmetaliswelcome 17/16 COULD be considered a composite of nearly infinite possibility. Or we could just call it a single bar of 17/16. That to me makes the most sense. @allmetaliswelcome 17/16 COULD be﻿ considered a composite of nearly infinite possibility. Or we could just call it a single bar of 17/16. That to me makes the most sense. @allmetaliswelcome 17/16 COULD be considered a composite of nearly infinite possibility. Or we could just call it a single bar of 17/16. That to me makes the﻿ most sense. @allmetaliswelcome 17/16 COULD be considered a composite of nearly infinite possibility. Or we could just call it a single bar of 17/16. That to﻿ me makes the most sense. @allmetaliswelcome 17/16 COULD be considered a composite of nearly infinite possibility. Or we could just call it﻿ a single bar of 17/16. That to me makes the most sense. @allmetaliswelcome 17/16 COULD be considered a composite of nearly infinite possibility. Or we could just call it a﻿ single bar of 17/16. That to me makes the most sense. @allmetaliswelcome 17/16 COULD be considered a composite of﻿ nearly infinite possibility. Or we could just call it a single bar of 17/16. That to me makes the most sense. @allmetaliswelcome 17/16 COULD be considered a composite of nearly infinite possibility. Or we could just﻿ call it a single bar of 17/16. That to me makes the most sense. @allmetaliswelcome 17/16 COULD be considered a composite of nearly infinite possibility. Or we﻿ could just call it a single bar of 17/16. That to me makes the most sense. @allmetaliswelcome 17/16 COULD be considered a composite of nearly infinite possibility. Or﻿ we could just call it a single bar of 17/16. That to me makes the most sense. @allmetaliswelcome 17/16 COULD be considered﻿ a composite of nearly infinite possibility. Or we could just call it a single bar of 17/16. That to me makes the most sense. [..YouTube..] @allmetaliswelcome 17/16 COULD be considered a composite of nearly infinite possibility. Or we could just call it a single bar of 17/16. That to me makes the most sense. [..YouTube..] 17/16 COULD be considered a composite of nearly infinite possibility. Or we could just call it a single bar of 17/16. That to me makes the most sense. 17/16 COULD be considered a composite of nearly infinite possibility. Or we could just call it a single bar of 17/16. That to me makes the most sense. @aaronedgardrum Your Sonor kit is bomb my man! One of my favorite drummers other than Jimmy Chamberlin just got Sponsored by Sonor………..Are you familiar with Dino﻿ Campenalla from dredg? @aaronedgardrum Your Sonor kit is bomb my man! One of my favorite drummers other than Jimmy Chamberlin just got Sponsored by Sonor………..Are you familiar with Dino Campenalla from﻿ dredg? @aaronedgardrum Your Sonor﻿ kit is bomb my man! One of my favorite drummers other than Jimmy Chamberlin just got Sponsored by Sonor………..Are you familiar with Dino Campenalla from dredg? @aaronedgardrum Your Sonor kit is bomb my man! One of my favorite drummers other than Jimmy Chamberlin﻿ just got Sponsored by Sonor………..Are you familiar with Dino Campenalla from dredg? @aaronedgardrum Your Sonor kit is bomb my man! One of my﻿ favorite drummers other than Jimmy Chamberlin just got Sponsored by Sonor………..Are you familiar with Dino Campenalla from dredg? @aaronedgardrum Your Sonor kit is bomb my man! One of my favorite drummers other than Jimmy Chamberlin just got Sponsored by﻿ Sonor………..Are you familiar with Dino Campenalla from dredg? @aaronedgardrum Your Sonor kit is bomb my man! One﻿ of my favorite drummers other than Jimmy Chamberlin just got Sponsored by Sonor………..Are you familiar with Dino Campenalla from dredg? @aaronedgardrum Your Sonor kit is bomb my man! One of my favorite drummers other than Jimmy﻿ Chamberlin just got Sponsored by Sonor………..Are you familiar with Dino Campenalla from dredg? @aaronedgardrum Your Sonor kit is bomb﻿ my man! One of my favorite drummers other than Jimmy Chamberlin just got Sponsored by Sonor………..Are you familiar with Dino Campenalla from dredg? @aaronedgardrum Your Sonor kit is bomb my man! ﻿ One of my favorite drummers other than Jimmy Chamberlin just got Sponsored by Sonor………..Are you familiar with Dino Campenalla from dredg? @aaronedgardrum Your Sonor kit is bomb my man! One of my favorite drummers other than Jimmy Chamberlin just﻿ got Sponsored by Sonor………..Are you familiar with Dino Campenalla from dredg? @aaronedgardrum Your﻿ Sonor kit is bomb my man! One of my favorite drummers other than Jimmy Chamberlin just got Sponsored by Sonor………..Are you familiar with Dino Campenalla from dredg? @aaronedgardrum Your Sonor kit is bomb my man! One of my favorite﻿ drummers other than Jimmy Chamberlin just got Sponsored by Sonor………..Are you familiar with Dino Campenalla from dredg? @aaronedgardrum Your Sonor kit is bomb my man! One of my favorite drummers other than Jimmy Chamberlin just got Sponsored by Sonor………..Are you familiar with﻿ Dino Campenalla from dredg? @aaronedgardrum Your Sonor kit is bomb my man! One of my favorite drummers other than﻿ Jimmy Chamberlin just got Sponsored by Sonor………..Are you familiar with Dino Campenalla from dredg? @aaronedgardrum Your Sonor kit is bomb my man! One of my favorite drummers other than Jimmy Chamberlin just got Sponsored﻿ by Sonor………..Are you familiar with Dino Campenalla from dredg? @aaronedgardrum Your Sonor kit is bomb my man! One of my favorite drummers﻿ other than Jimmy Chamberlin just got Sponsored by Sonor………..Are you familiar with Dino Campenalla from dredg? @aaronedgardrum Your Sonor kit is bomb my man! One of my favorite drummers other than Jimmy Chamberlin just got Sponsored by Sonor………..Are﻿ you familiar with Dino Campenalla from dredg? [..YouTube..] @aaronedgardrum Your Sonor kit is bomb my man! One of my favorite drummers other than Jimmy Chamberlin just got Sponsored by Sonor………..Are you familiar with Dino Campenalla from dredg? [..YouTube..] Your Sonor kit is bomb my man! One of my favorite drummers other than Jimmy Chamberlin just got Sponsored by Sonor………..Are you familiar with Dino Campenalla from dredg? Your Sonor kit is bomb my man! One of my favorite drummers other than Jimmy Chamberlin just got Sponsored by Sonor………..Are you familiar with Dino Campenalla from dredg? @geoff1424 Thanks man! It’s one of many, I’m going to be changing the big kit in a few weeks for the videos. I didn’t know that Chamberlain was a Sonor guy now, awesome! Also… I’m unfamiliar with that drummer/band. Anything﻿ in particular I should check out? @geoff1424 Thanks man! It’s one of many, I’m going to be changing the big kit in a few﻿ weeks for the videos. I didn’t know that Chamberlain was a Sonor guy now, awesome! Also… I’m unfamiliar with that drummer/band. Anything in particular I should check out? @geoff1424 Thanks man! It’s one of many, I’m going to﻿ be changing the big kit in a few weeks for the videos. I didn’t know that Chamberlain﻿ was a Sonor guy now, awesome! Also… I’m unfamiliar with that drummer/band. Anything in particular I should check out? I didn’t know that Chamberlain was﻿ a Sonor guy now, awesome! Also… I’m unfamiliar with that drummer/band. Anything in particular I should check out? @geoff1424 Thanks man! It’s one of many, I’m﻿ going to be changing the big kit in a few weeks for the videos. I didn’t﻿ know that Chamberlain was a Sonor guy now, awesome! Also… I’m unfamiliar with that drummer/band. Anything in particular I should check out? I didn’t know that Chamberlain was a Sonor guy now, awesome! Also… I’m unfamiliar with that drummer/band. Anything in particular﻿ I should check out? @geoff1424 Thanks man! It’s one of﻿ many, I’m going to be changing the big kit in a few weeks for the videos. I didn’t know that Chamberlain was a Sonor guy now, awesome! Also… I’m﻿ unfamiliar with that drummer/band. Anything in particular I should check out? I didn’t know that Chamberlain was a Sonor guy now, awesome! Also… I’m unfamiliar with﻿ that drummer/band. Anything in particular I should check out? I didn’t know that Chamberlain was a Sonor guy now, awesome!﻿ Also… I’m unfamiliar with that drummer/band. Anything in particular I should check out? @geoff1424 Thanks man! It’s one of many, I’m going to be changing﻿ the big kit in a few weeks for the videos. I didn’t know that Chamberlain was a Sonor guy now, awesome! Also… I’m unfamiliar with that drummer/band. Anything in particular I should﻿ check out? I didn’t know that Chamberlain was a﻿ Sonor guy now, awesome! Also… I’m unfamiliar with that drummer/band. Anything in particular I should check out? I didn’t know that Chamberlain was a Sonor﻿ guy now, awesome! Also… I’m unfamiliar with that drummer/band. Anything in particular I should check out? I didn’t know that Chamberlain was a Sonor guy now,﻿ awesome! Also… I’m unfamiliar with that drummer/band. Anything in particular I should check out? @geoff1424 Thanks man! It’s﻿ one of many, I’m going to be changing the big kit in a few weeks for the videos. @geoff1424 Thanks man! It’s one of many, I’m going to be﻿ changing the big kit in a few weeks for the videos. @geoff1424 Thanks man! It’s one of many, I’m going to be changing the big kit in a few weeks﻿ for the videos. @geoff1424 Thanks man! It’s one of many, I’m going to be changing the big kit﻿ in a few weeks for the videos. I didn’t know﻿ that Chamberlain was a Sonor guy now, awesome! Also… I’m unfamiliar with that drummer/band. Anything in particular I should check out? [..YouTube..] @geoff1424 Thanks man! It’s one of many, I’m going to be changing the big kit in a few weeks for the videos. [..YouTube..] Thanks man! It’s one of many, I’m going to be changing the big kit in a few weeks for the videos. Thanks man! It’s one of many, I’m going to be changing the big kit in a few weeks for the videos.